Victoria M. (Lacoste) Swett, 88, of Auburn, died Sunday January 27, 2019 surrounded by her loving family at the Life Care Center of Auburn. Vickie was born in Leicester, Massachusetts, daughter of the late Joseph A. Lacoste and Emma E. (Lessard) Lacoste and attended Leicester High School. Before retirement, Vickie was a cafeteria manager at the Mary D. Stone School in Auburn for 6+ years. Previously, she waitressed at the Chester P. Tuttle American Legion Post #279 and also at the former Dark Brook Restaurant in Auburn, where she met her husband Kenny. Vickie adored music. She had a fabulous voice and loved to sing to her children and grandchildren. She could often be found swinging in her glider, watching birds and taking in nature. She loved to cook. She was known to her friends and family for making delicious meals and made sure each and every person who came into her home was feed. Vickie was very patriotic and loved to sing ‘God Bless America.’ Just like her husband, she loved the Boston Red Sox and the New England Patriots. 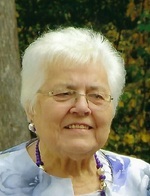 She was predeceased by her husband of 53 years, Kenton and 11 siblings, and is survived by her six children, Chuck Hazzard of Leicester, Roger Hazzard and his wife Deborah of Southbridge, Kathy Fortier and her husband Michael of Auburn with whom she lived since 2013, Diane Gingras and her husband James of Thompson, CT, Kevin Swett of Auburn and Jon Swett and his wife Susan of Northbridge; nine grandchildren, 2 great grandchildren; a brother, Kenneth Lacoste of Brockton, a sister Elizabeth Stevens of Oxford and many nieces and nephews. Vickie was a devoted wife and loving mother, who took tremendous pride in her children, grandchildren and great granddaughters. She will be greatly missed and lovingly remembered by all. Relatives and friends are invited to visit with Vickie’s family on Thursday, January 31, 2019 from 4-7 PM in the Britton-Wallace Funeral Home, 91 Central St, Auburn. Her funeral mass will be on Friday February 1, 2019 celebrated at 10 AM at Saint Joseph’s Church, 189 Oxford St North, Auburn (Please kindly go directly to church).